Setting a beautiful table starts with choosing the right linens and you can make sure your table has a beautiful foundation by creating your own ombre tablecloth. Perfect for fall, this technique can be used with any color you choose. 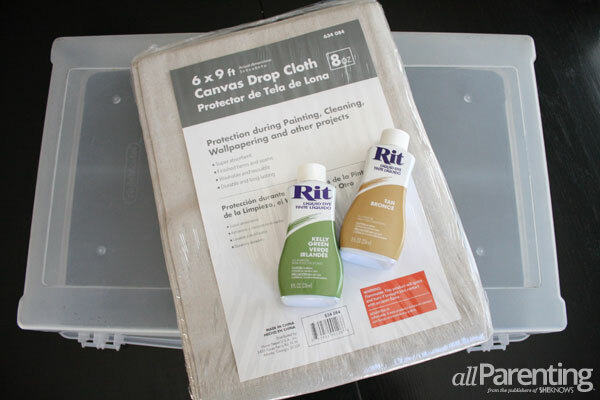 This tutorial will allow you to customize your table's look for less by using simple RIT dye and a painter's tarp. The dip-dye technique gives you a chic twist on a traditional look and it can be dyed in any color to meet your needs. 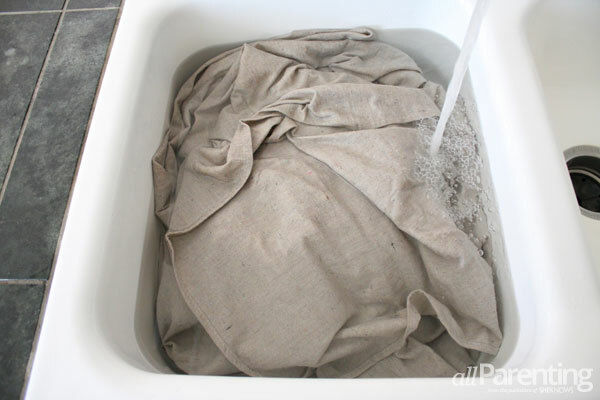 Begin soaking your tarp in hot water. Make sure it is entirely saturated as this will enable the dye to absorb evenly into the fabric. While your tarp is soaking, bring two gallons of water to just below a boil. Your water needs to be very hot to enable the dye to set. Pour your heated water into the bin, add your bottle of dye and stir well. I used half of two bottles as I wanted to mix my color. 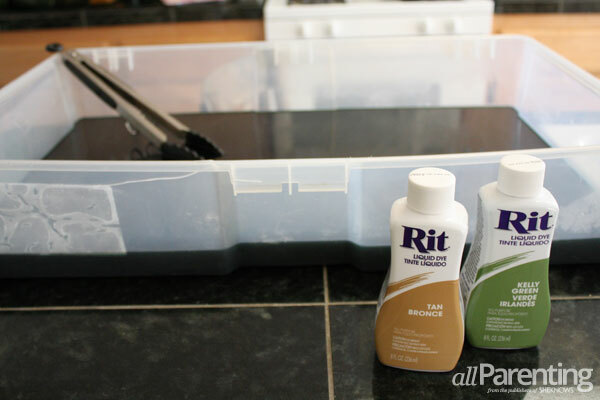 If RIT doesn't have the color you're looking for, you can find recipes for various colors here. 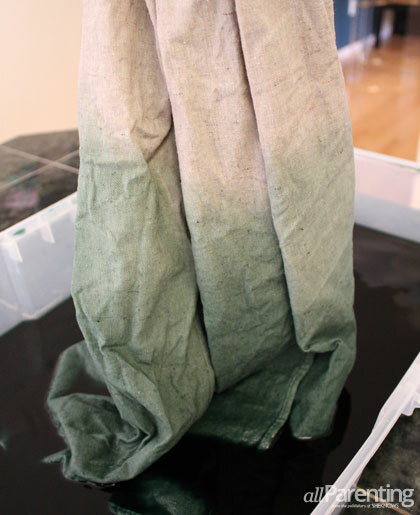 Wring out your wet tarp and begin slowly dipping your fabric into the dye, making sure to loosen any folds so that they dye reaches all parts of the fabric. Dip it up to the point you'd like your dye to stop and leave it there for two minutes. 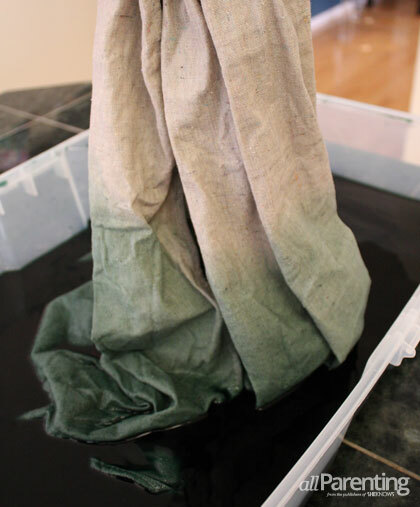 Slowly pull out your fabric a bit further so that 2/3 of the dipped fabric remains in the dye. Leave it for four minutes. Pull another 1/3 of your fabric out of the dye, leaving the last 1/3 of your fabric remaining in the dye for another four minutes. 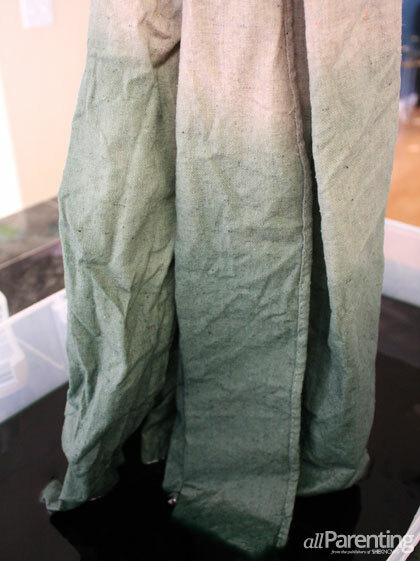 Make sure you suspend the fabric upright so that the dye drips back into the bin. Repeat the above steps two more times. 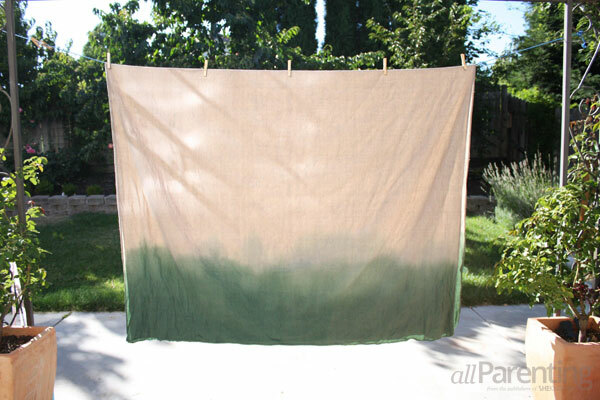 Once your fabric has reached the color you'd like, remove it from the bin, wringing out excess dye, and hang it to dry. With your tablecloth now dry, run it under cold water, washing out the remaining dye until the water runs clear. Then wash it on the cold setting and tumble dry. Your tablecloth is ready to use! 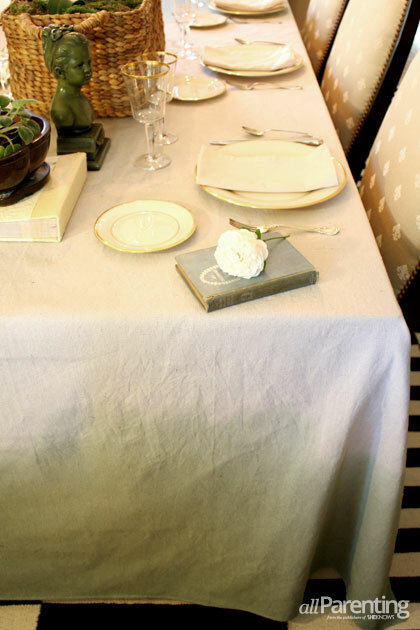 Perfect for fall, this ombre tablecloth will set the stage for many meal-time memories.